It is a self defence survival system that is designed to encourage the individual to use what works for them. We are all different in our size, strength, speed, agility and perceptions. KAPAP self defence is designed to help level the odds between you and your attacker, it teaches key survival skills and how to react when attacked, it will rapidly develop an awareness of what self defence works and what doesn’t. KAPAP is an acronym that stands for Krav Panim el Panim. Literally translated, means Face-to-Face Combat. Maishel Horowitz was born in the year 1919 in Russia. While Maishel was still a baby his parents were brutally murdered on country road. The killers threw Maishel into an icy puddle along the snow covered road and left him to die. A passerby saved Maishel and recognizing his dead parents took him to his grandmother. His grandmother decided to take him to Palestine where he was then raised by his parent’s relatives who lived in Tel-Aviv. Maishel joined the youth movement “Mhanot Haolim” in the 1930′s and became very active in the group. In the late 1930′s he was a group leader in the youth movement and one of the founders of the “youth-companies” (as in military units) of which he became chief commander between 1940-1943. The youth companies protested against the British mandate and faught against underground groups who had broken off from the Hagana. It was during this period in 1939 that Maishel received training in Jujitsu, boxing and knife fighting from Hagana instructors. One problem that Maishel and his friends wanted to overcome was how to deal with British policemen armed with batons, with this in mind Maishel and fellow members of the youth movement developed the short stick fighting method. Maishel’s stick fighting method became one of the main components of hand to hand combat training for Hagana until he retired in 1998 at the age of 80. 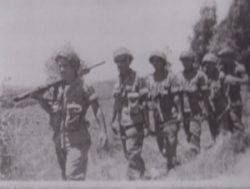 Maishel was a major contributor to the development of KAPAP which slowly transformed into Krav Maga in the IDF during the 1950′s. In fact Maishel did not even know that such a thing as Krav Maga existed or that his stick fighting system was taught to soldiers as late as 1959. Maishel Horowitz, developer of the short stick fighting method, passed away in December 2009. The Palmach museum in Israel calls him developer and chief instructor of KAPAP in the Hagana and Palmach. In 1942 he completed his officers course and during the war of independence (1948) AND he participated in several battles serving as a company commander. KAPAP, Krav Maga! What’s the difference? There are many times I have been asked, what is the difference between Kapap and Krav Maga. Of course the description I give will no doubt be questioned or analysed to the tenth degree. 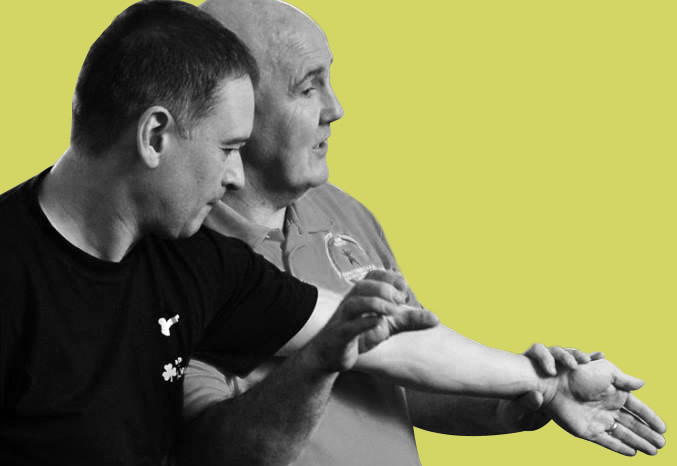 At Avi Nardia Academy Kapap UK we teach a set of principles first and foremost before techniques, the reason for this is we want our instructors or students to have a flexible approach to their self defence, or protection of loved ones. If I take Krav Maga as an example and this in no way meant as a criticism of Krav Maga it is an opinion. Krav Maga bases it training on a fixed syllabus which is mainly linear in approach and does not really allow for the unexpected attack that may change the dynamic of a situation, which this in turn does not prepare the student or the instructor for what we call in Kapap UK an action reaction, which can be difficult for a linear type defence to defend against when a variable attack is initiated. At Kapap UK and the Avi Nardia Academy Of Practical Martial Arts of which Kapap UK is a leading member, we do not have such a rigid syllabus as we want our instructors and students to react quickly and calmly to a rapid change of attack, with this in mind we teach three main principles, Two points of Contact, Relative Position, and Balance Displacement this way our instructors can teach their students to always expect the unexpected and can react calmly to situations presented. The reason for this is that we are not focused wholly on a linear defence, as it will not work on occasions for the smaller or weaker person. The mantra I say to potential instructors on their first day is to assume everything and assume nothing. Why? Because when it comes down conflict situation it does not always go to plan and for this reason, we at Kapap UK teach the basic principles, as well as action reaction as the defence, as we want the self defence we teach to work in 99.9% of the situations and for this to be the benchmark to survive, you as an instructor or student or anyone who just wants to learn self defence must have a flexible approach to survive. This is the reason we do not have a rigid syllabus or a wholly linear approach to self defence as self defence is constantly evolving just like we had the bow and arrow for self defence we now have the gun instead. Sam Markey is a great teacher and really nice guy. Been an absolute pleasure train with him over the years.